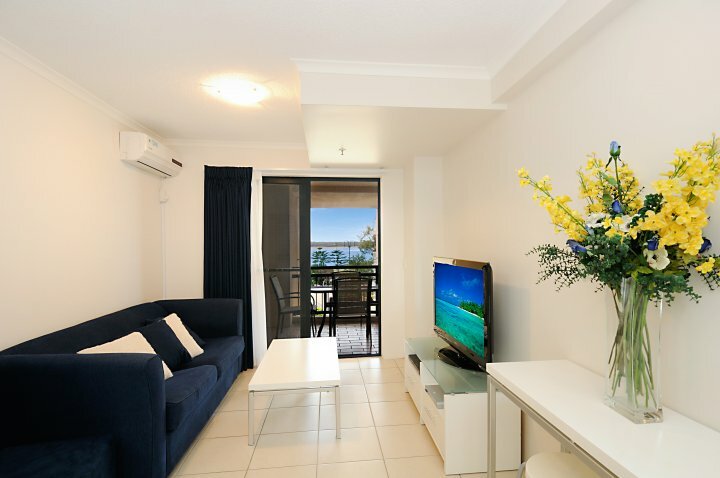 Located at the northern end of the famous Gold Coast our waterfront location is only 10 minutes from central Surfers Paradise and close to all theme parks and shopping centres. Runaway Bay Super Sports Centre is less than 5 minutes by car. 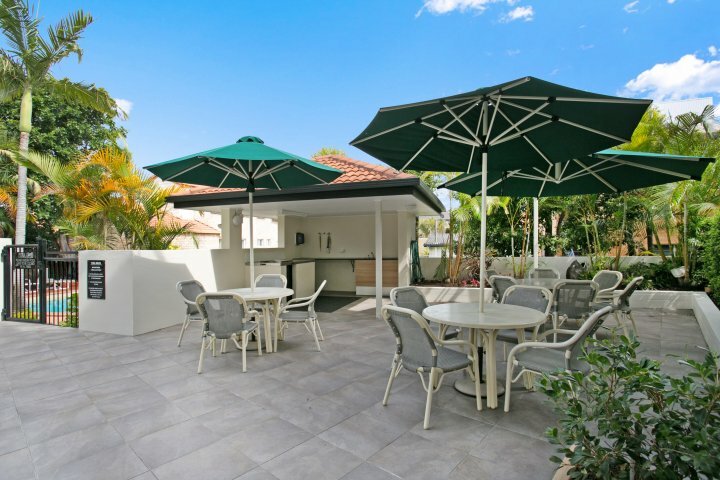 Guests visiting the Gold Coast for sporting competitions, music festivals or just to have fun at one of the many tourist attractions will find Windsurfer conveniently located for easy access to all major venues. Guests wanting to spoil themselves can find an exciting selection of restaurants and cafes just a short stroll along the promenade. 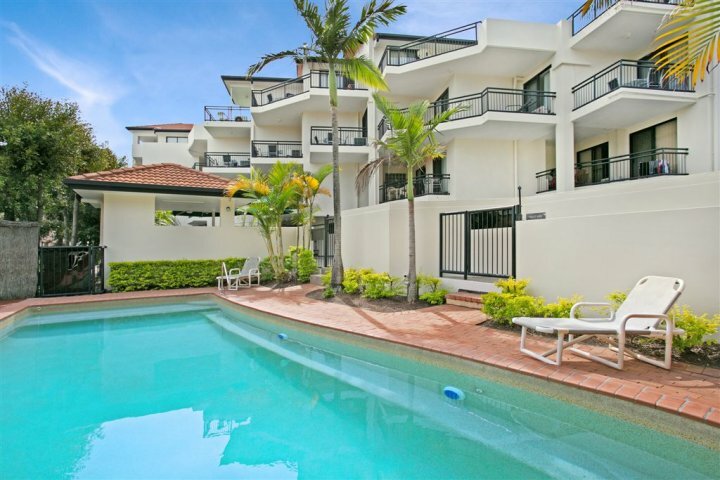 Families can enjoy the conveniently located playgrounds and the swimming lagoon in Harley Park. 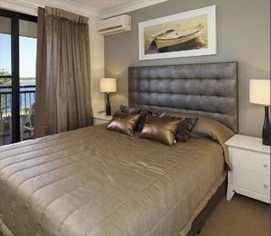 Come and experience our gorgeous Broadwater location. 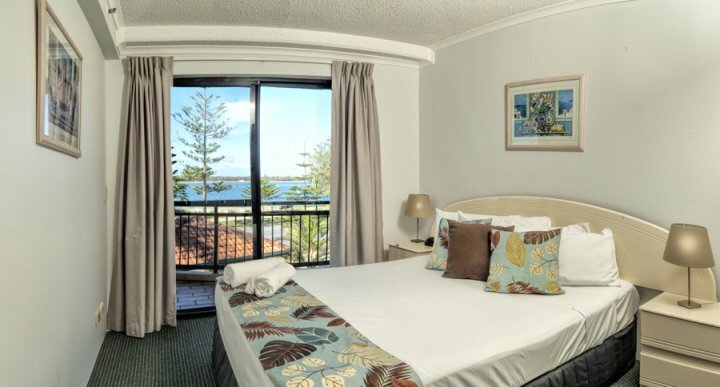 We look forward to welcoming you to Windsurfer Resort on the Gold Coast. All tour and excursion enquires and bookings can be made at reception. Theme Park tickets and Airport Transport can be arranged at our tour desk on your arrival. 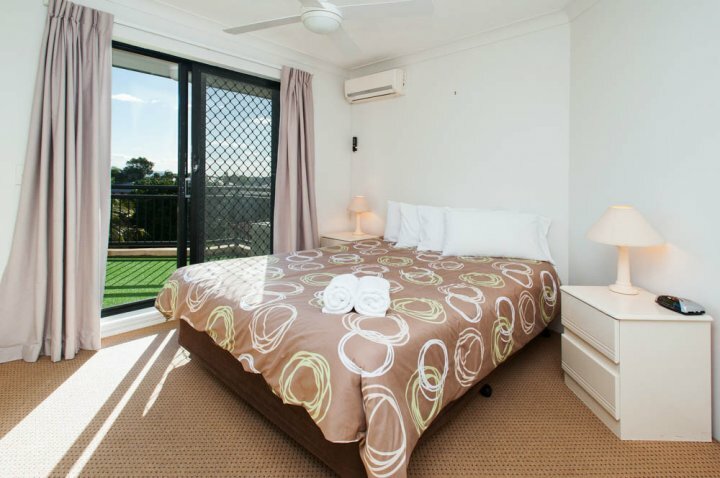 Windsurfer Resort is the ideal family holiday location on the coast. 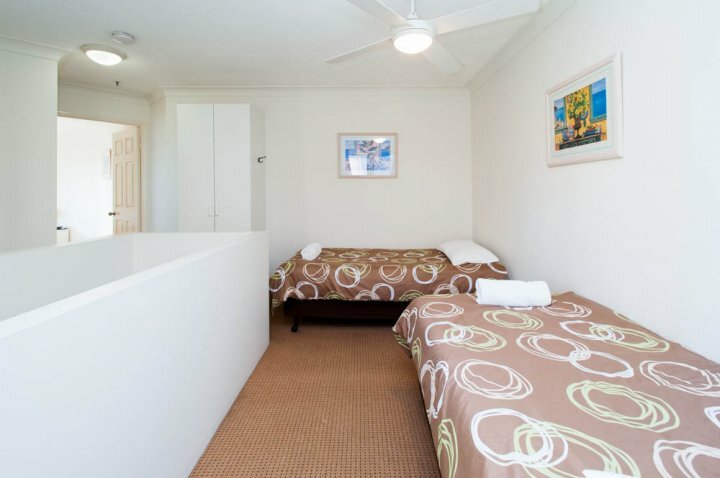 Apartments are self-contained with full kitchen & laundry facilities, queen bed, air-conditioning, balcony, secure parking, Foxtel, plasma TV, wireless internet, secure parking. Views are partial water or pool. Rate is based on 2 guests, max of 3. Beautiful Broadwater views. Modern furnishings, appliances & artwork. 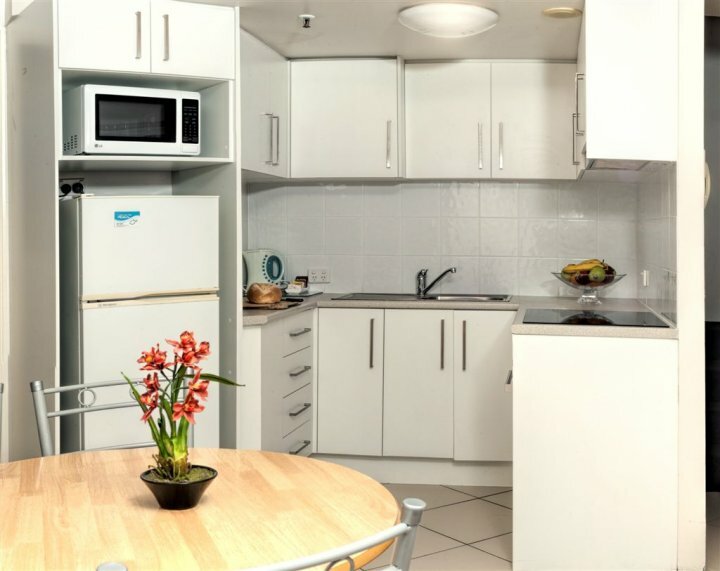 Self-contained, full kitchen & laundry facilities, queen bed, aircon, plasma TV, Foxtel, WiFi (charges apply) balcony, secure parking. Perfect for a romantic getaway. Rate is based on 2 guests, max of 3. Beautiful Broadwater views. 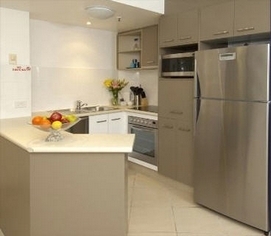 Modern furnishings, appliances & artwork. 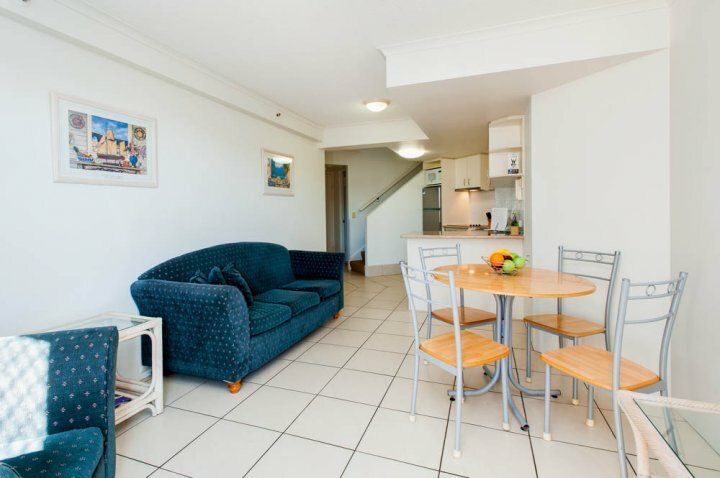 Self-contained, full kitchen & laundry facilities, queen bed, aircon, plasma TV, Foxtel, WiFi (charges apply) balcony, secure parking. Perfect for a romantic getaway. Rate is based on 2 guests, max of 3. Extra person charge is $30 per night. 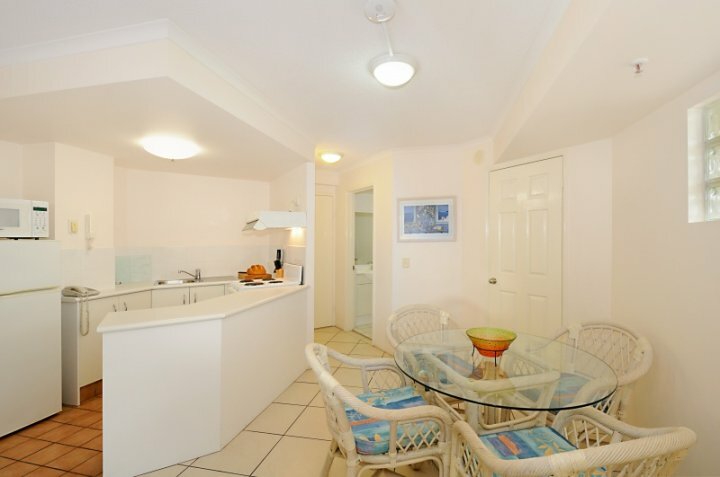 Nicely decorated,s/c 2 story apt modern appliances.2nd small lounge upstairs.Plasma TV,A/c, balconies on both levels, Free secure parking & Foxtel.Views are either water or garden. Rate is based on 4 guests, max of 5. 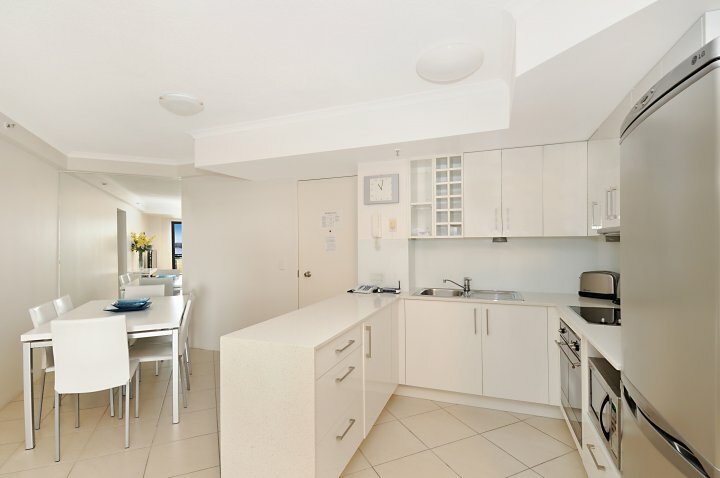 Original condition, 2 levels, clean, comfortable family accommodation. 1 bedroom with QB, t win beds in small open mezzanine area. 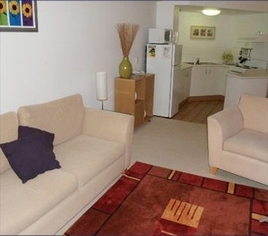 These apartments are great value for money. 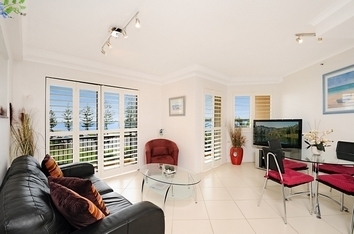 Self contained, A/c, secure parking, Foxtel, Plasma TV. Wireless internet connection. Faxes can be received and sent via Reception. Check in from 2pm - 5pm . Reception hours are8.30am- 5pm Mon to Fri, 9am - 1pm Sat and 9am - midday on Sun. 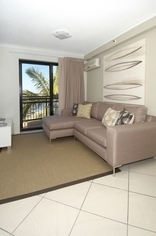 Late arrivals (after 5pm) must phone Windsurfer Apartments to provide credit card details and receive instructions for building and apartment entry. 1 Bedroom Apartment 2 guests included in the rate. 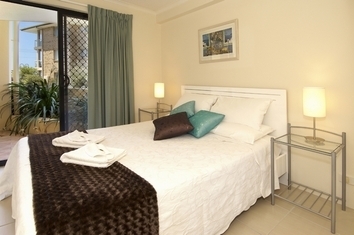 Maximum of 3 guests permitted in apartment at a rate of $350 per night. Family Apartment 4 guests included in the rate, Maximum of 5 guests permitted in the apartment at a rate of $35 per night. Key entry underground parking and intercom security entrances throughout the resort. 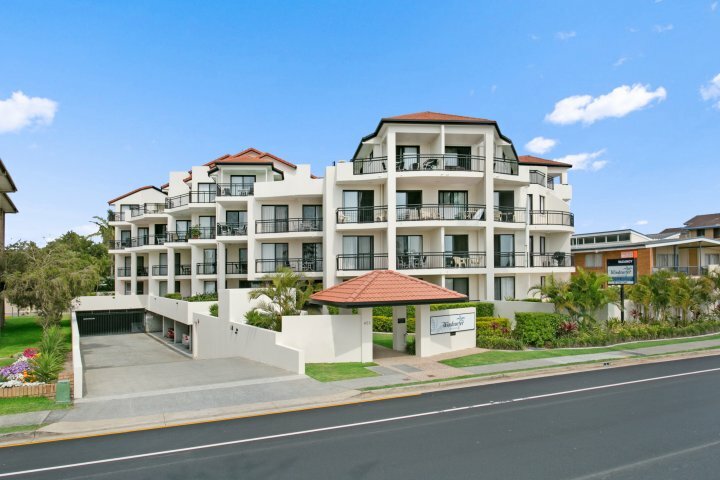 Travellling on the Pacific Motorway, take Exit 62 and follow this to the the broadwater. Turn left into Marine Pde. We are approx 500m along on the left. If travelling on the Gold Coast Highway (from the Tugan /Southport diection, continue towards Runaway Bay, keeping the water on your right. We are approx 500m past the Brisbane Road intersection. Stroll out the entrance onto the sealed walking path along the beach to the famous Charis Seafoods or various dining precincts or visit the discount shopping opportunities at Harbour Town. 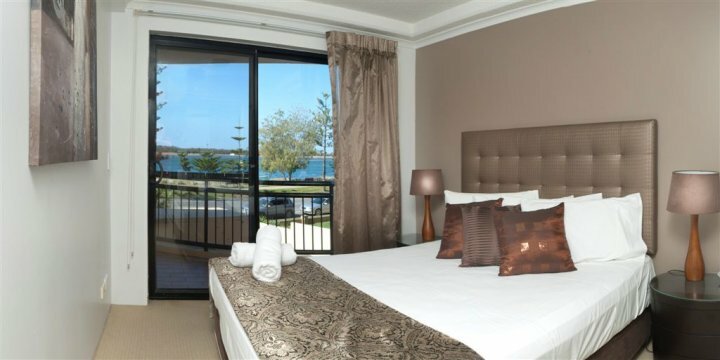 There are also a myriad of water activities on the Broadwater such as swimming, jetskiing, fishing, parasailing or you can take a romantic gondola dinner cruise.